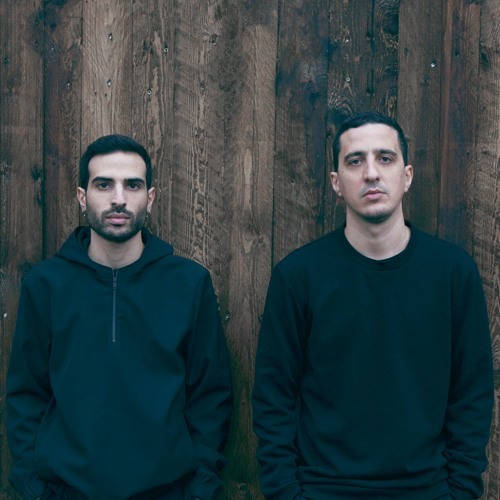 Deep'a & Biri, are among the most promising talents emerging from the electronic scene of Tel Aviv. Lately they have been releasing tracks on top labels like: Transmat Detroit / Gigolo Records / Rotary Cocktail / We Love (Space Ibiza) and their own label "Black Crow" Most of the tracks are getting played all over by some of the top artist of techno & house music. Deep'a (32) is a key figure in Tel Aviv’s night life both as a dj and as a A&R For Tel Aviv's Cutting Edge Club Barzilay (RIP) and nowadays Ruining "Barzilay Crew" For the past 10 years he had a significant part in re-building the young techno and house scene of tel aviv where he normally hosts top dj's like: Derrick May, Dj Hell, Jeff Mills, Juan Atkins, Modeselektor, Apparat,Kink Ame, Dixon, Paul Kalkbrenner,Kenny Larkin, Ivan Smagghe, Robert Hood, Len Faki ,Ben Klock to name a few. Biri is a young (25) producer from the city of Jerusalem. Itai started his journey into electronic music at the early age of 14, and after a few years later the kid already holds an impressive producing & dj skills with a wide range between loopy techno till Chicago House and Detroit classic Sounds. In 2013 the boys released their first album on Dj Hell - Gigolo Records and Joined Derrick May Transmat Booking agency, Derrick has been supporting Deep'a & Biri music for few years and since 2014 they are part of the label nights taking place in some of the best clubs in the world. (Rex/Paris, Panoramabar/Berlin, Paradiso/Amsterdam ,Bloc off Sonar/Barcelona, Concrete/Paris). Early 2016 they release full EP on Transmat records which got enthusiastic feedbacks and was sold out on less than a week time. With their tracks currently being played and charted by some of the scene's most respected DJs, the industry is taking notice of Biri & Deepa's talent; the young Israeli artists are on their way to establish themselves as one of the main producers coming from the turbulent Israeli scene.